Now-Again Reserve series. "Al Manfredi is the father of hip-hop producer Exile, and Blue Gold is his little-known West Coast rock masterpiece from 1973. Manfredi's dreams of securing a record deal with this album faded, but he spent the rest of his life recording music. This version of the album was overseen by Exile. Born into a musical family Al Manfredi started writing songs when he was child. As a teenager in 1965, he formed the Nuts & Bolts in the small beach town of San Clemente, California. Inspired by the Kinks, the Beatles and the Byrds, the group separated themselves from the pack by also performing original material written by Manfredi and band mate Mike Ingram. In late 1966 they changed their name to the Lost & Found and relocated to Phoenix, Arizona, where they cut a rare single, 'Don't Move Girl' b/w 'To Catch the Sun,' which now commands high coin from '60s garage collectors. When they returned to San Clemente in early 1967 their music had taken a more psychedelic direction. The Lost & Found were riding high that year, until tragedy struck. Ingram was found hanged under suspicious circumstances and soon after Lost & Found drummer Mike Ryer died of cancer at the age of 19. Heartbroken, Manfredi gave up on the band scene completely and moved to Garden Grove to teach at his family's music store. But alone, behind closed doors, he kept writing songs and working on his music, recording hours of tapes, often tracking all the instruments himself. In 1973 he chose six of his best songs, some of them written back in the Lost & Found days, and had them custom-pressed as an LP. Only a handful of copies were pressed, and most of these were sent out to various record companies in the hope of landing a deal. Despite the outstanding quality of the music, there were no takers. But decades later, collectors discovered the Al Manfredi album and hailed it a West Coast rock masterpiece. In his Acid Archives book, Patrick Lundborg called its discovery a deus ex machina and compared it to David Crosby's first solo album and Hawaii-era Merrell Fankhauser, 'not just the acutely captured mellowness, but the self-confidence and the talent.' This little-known West Coast rock masterpiece was rediscovered and celebrated by Acid Archives founder Patrick Lundborg and others around the time that Manfredi died in 1995. This version of the album, overseen by Manfredi's son Exile, and with Manfredi's story told by Ugly Things' founder Mike Stax, presents the complete package of an incredible lost and found artist." Now-Again Reserve series. LP version. Gatefold sleeve; Extensive, photo-filled booklet documents the history of the band, their mission, and their arc; Download card included for WAV files, including bonus tracks. "Al Manfredi is the father of hip-hop producer Exile, and Blue Gold is his little-known West Coast rock masterpiece from 1973. Manfredi's dreams of securing a record deal with this album faded, but he spent the rest of his life recording music. This version of the album was overseen by Exile. Born into a musical family Al Manfredi started writing songs when he was child. As a teenager in 1965, he formed the Nuts & Bolts in the small beach town of San Clemente, California. Inspired by the Kinks, the Beatles and the Byrds, the group separated themselves from the pack by also performing original material written by Manfredi and band mate Mike Ingram. In late 1966 they changed their name to the Lost & Found and relocated to Phoenix, Arizona, where they cut a rare single, 'Don't Move Girl' b/w 'To Catch the Sun,' which now commands high coin from '60s garage collectors. When they returned to San Clemente in early 1967 their music had taken a more psychedelic direction. The Lost & Found were riding high that year, until tragedy struck. Ingram was found hanged under suspicious circumstances and soon after Lost & Found drummer Mike Ryer died of cancer at the age of 19. Heartbroken, Manfredi gave up on the band scene completely and moved to Garden Grove to teach at his family's music store. But alone, behind closed doors, he kept writing songs and working on his music, recording hours of tapes, often tracking all the instruments himself. In 1973 he chose six of his best songs, some of them written back in the Lost & Found days, and had them custom-pressed as an LP. Only a handful of copies were pressed, and most of these were sent out to various record companies in the hope of landing a deal. Despite the outstanding quality of the music, there were no takers. But decades later, collectors discovered the Al Manfredi album and hailed it a West Coast rock masterpiece. In his Acid Archives book, Patrick Lundborg called its discovery a deus ex machina and compared it to David Crosby's first solo album and Hawaii-era Merrell Fankhauser, 'not just the acutely captured mellowness, but the self-confidence and the talent.' This little-known West Coast rock masterpiece was rediscovered and celebrated by Acid Archives founder Patrick Lundborg and others around the time that Manfredi died in 1995. This version of the album, overseen by Manfredi's son Exile, and with Manfredi's story told by Ugly Things' founder Mike Stax, presents the complete package of an incredible lost and found artist." Limited bundled edition, 100 copies made. "Revolutionary, spiritual jazz bandleader, drummer, and activist from Houston. This is the definitive box set of his four classic albums with his Lightmen band, each mastered from the original tapes, expanded with bonus tracks and alternate mixes. Bubbha Thomas had toured America with R&B revues, served as a session musician for Peacock and Back Beat Records, and played straight ahead jazz with legends before the political and social upheaval of the late 1960s led him to a path first charted by Coltrane. His first set of self-issued albums predated the deep-set, maverick jazz issued by the likes of Tribe and Strata East and were a harbinger of best of the 1970s jazz underground. Over the course of the decade, he contributed to a collective voice of resistance to the musical and cultural status quo that is just beginning to be understood. Each album contains 2LPs and comes with a download card for WAV files, and footage of live performances included. Booklet detailing Thomas and his band's remarkable trajectory also included in the set. Album details below. Includes: Free As You Wanna Be, Fancy Pants, Energy Control Center, and Country Fried Chicken." "Includes never before issued instrumentals! Comes with a 32-page booklet! New audiophile transfer directly from Axelrod's original EQ'ed master tapes. 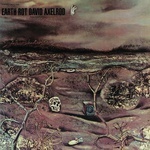 Earth Rot is visionary composer/arranger/producer David Axelrod's third album, and the last of his Capitol trilogy. Recorded as a concept album about the decrepit state of the environment in 1970 Los Angeles, and scheduled for release on the first Earth Day, it features choral vocals and marks a departure for Axelrod's signature sound, which would take on a jazzier feel in the 1970s. This definitive version of Earth Rot, overseen by Now-Again's Eothen Alapatt in conjunction with Axelrod's Estate, fulfills a request Axelrod made while alive -- to see the instrumentals of this album, never before released, issued. They see release here as the second half of a deluxe CD reissue. This is an audiophile reissue, with the vocal version transferred directly from Axelrod's original master tapes at Capitol Records by Ron McMaster. The master was approved by Axelrod's son Michael, who adapted ancient lyrics for the album in one of three collaborative projects he did with his father. Contains a 32 page booklet that delves into Axelrod's incredible life and music, replete with never before published photos and an interview." "Revolutionary, spiritual jazz from the unlikely city of Houston, Texas: the definitive issue, mastered from the original tapes. Bonus disc contains previously unreleased tracks. Drummer, bandleader and activist Bubbha Thomas had toured America with R&B revues, served as a session musician for Peacock and Back Beat Records, and played straight ahead jazz with legends before the political and social upheaval of the late 1960s led him to a path first charted by Coltrane. Energy Control Center, his third LP with his Lightmen band is his masterpiece: deep-set, maverick jazz on par with the best Tribe and Strata East titles. This is a highpoint amongst the best of the 1970s jazz underground, a collective voice of resistance to the musical and cultural status quo. Contains second disc with bonus tracks: unreleased alternate takes, including two versions of the spiritual jazz classic 'All Praises To Allah', all housed with an extensive booklet with photos and liner notes." Double LP version, tip-on gatefold jacket. "Revolutionary, spiritual jazz from the unlikely city of Houston, Texas: the definitive issue, mastered from the original tapes. Bonus disc contains previously unreleased tracks. Drummer, bandleader and activist Bubbha Thomas had toured America with R&B revues, served as a session musician for Peacock and Back Beat Records, and played straight ahead jazz with legends before the political and social upheaval of the late 1960s led him to a path first charted by Coltrane. Energy Control Center, his third LP with his Lightmen band is his masterpiece: deep-set, maverick jazz on par with the best Tribe and Strata East titles. This is a highpoint amongst the best of the 1970s jazz underground, a collective voice of resistance to the musical and cultural status quo. Contains second disc with bonus tracks: unreleased alternate takes, including two versions of the spiritual jazz classic 'All Praises To Allah', all housed with an extensive booklet with photos and liner notes." Double LP version. "Jazz, funk, disco and boogie from the unlikely city of Houston, Texas: the definitive issue, with bonus tracks, mastered from the original tapes. Drummer, bandleader and activist Bubbha Thomas had toured America with R&B revues, served as a session musician for Peacock and Back Beat Records, and played straight ahead jazz with legends before the political and social upheaval of the late 1960s led him to a path first charted by Coltrane. 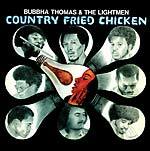 Country Fried Chicken, his fourth LP with his Lightmen band is his most accessible, a mixture of funk and spiritual jazz. 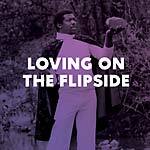 Contains second disc with bonus tracks: alternate, synth-lead mixes of songs from his first two LPs as well as rare and unreleased disco and boogie tracks. Extensive booklet included." 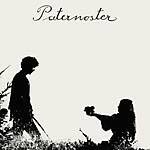 [sold out, will be replaced by single LP version] "2018 Black Friday RSD release. Earth Rot is visionary composer/arranger/producer David Axelrod's third album, and the last of his Capitol trilogy. Recorded as a concept album about the decrepit state of the environment in 1970 Los Angeles, and scheduled for release on the first Earth Day, it features choral vocals and marks a departure for Axelrod's signature sound, which would take on a jazzier feel in the 1970s. This definitive version of Earth Rot, overseen by Now-Again's Eothen Alapatt in conjunction with Axelrod's estate, fulfills a request Axelrod made while alive ? 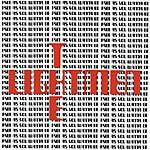 to see the instrumentals of this album, never before released, issued. They see release here as the second LP in a two-LP set. This is an audiophile reissue, with the vocal version lacquered directly from Axelrod's original master tapes at Capitol Records by Ron Mcmaster. The master was approved by Axelrod's son Michael, who adapted ancient lyrics for the album in one of three collaborative projects he did with his father. Contains a 28 page booklet that delves into Axelrod's incredible life and music, replete with never before published photos and an interview. 'There are very few people who see the Grand Picture of the Universe and understand the Nothingness that it all comes from. There are even fewer who can express these ideas through music - David could do it all.' --T-Ray. Includes never before issued instrumentals. 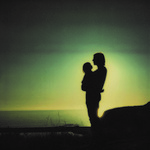 Comes packaged in a gatefold jacket with a 28-page booklet." The previous Now-Again "Reserve Edition" is sold out, this is a regular 2LP version in less deluxe packaging; Speed-corrected transfer, with download card for .WAV files of the album, extensive bonus tracks and digital booklet. "Presented here, the definitive reissue of a lauded and misunderstood Krautrock album, German Oak's Down in the Bunker. The release has been fetishized and demonized, lauded and misunderstood for nearly four decades. 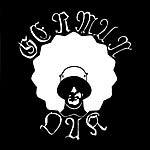 In this definitive reissue of the album, the German Oak trio -- together again after 30 years apart -- have approved the remastering of their 70s music; finally tell the story behind the creation of their dark, brooding album -- and the occult-obsessed record collector behind the original album's release and its myth -- and they share previously unreleased music and photos. This two LP set presents the album as it was initially released, and a second disc of other songs by the band, both rare and previously unreleased." "Revolutionary, spiritual jazz from the unlikely city of Houston, Texas, reissued for the first time. Drummer, bandleader and activist Bubbha Thomas had toured America with R&B revues, served as a session musician for Peacock and Back Beat Records, and played straight ahead jazz with legends before the political and social upheaval of the late 1960s led him to a path first charted by Coltrane. 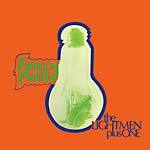 Fancy Pants is his second LP with his Lightmen band and, like the deep-set, maverick jazz issued by the likes of Tribe and Strata East, is amongst the best of the 1970s jazz underground, a collective voice of resistance to the musical and cultural status quo." Disc one is the stereo mix and disc two is the mono mix. "Audiophile reissue, transferred directly from Axelrod's original EQ'ed master tapes at Capitol Records by Ron McMaster 'Songs of Experience was supposed to have a different feel than Song of Innocence. You see, music is a great outlet. And regardless of what the titles say, and as close as I wanted it to be to William Blake, what was going on in my life took precedence.' 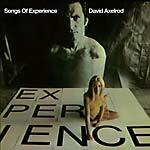 --David Axelrod Songs of Experience is visionary composer/arranger/producer David Axelrod's second album; it was recorded after the death of his beloved son Scott. Experience is an ominous affair, an album concerned with mortality and spirituality -- the solitary, pastoral musings of William Blake set to the urban bombast of a full Los Angeles orchestra, with Wrecking Crew vets grounding the proceedings with dark funk. This is the next Now-Again issue in a series of reissues centered around Axelrod's Capitol Trilogy -- Song of Innocence, Songs of Experience and Earth Rot -- which will see release through 2018. Contains 32-page booklet that delves into Axelrod's incredible life and music, replete with never before published photos. 'There are very few people who see the Grand Picture of the Universe and understand the Nothingness that it all comes from. There are even fewer who can express these ideas through music -- David could do it all.' --T-Ray"
"Drummer, bandleader and activist Bubbha Thomas had toured America with R&B revues, served as a session musician for Peacock and Back Beat Records, and played straight ahead jazz with legends before the political and social upheaval of the late 1960s led him to a path first charted by Coltrane. Free As You Wanna Be predates the deep-set, maverick jazz issued by the likes of Tribe and Strata East and is a harbinger of best of the 1970s jazz underground, a collective voice of resistance to the musical and cultural status quo. This is the first time that Free As You Wanna Be has seen reissue, and it is presented in both the issued stereo and previously unissued mono mixes as a double CD. Bubbha and his band's story is told in great detail by Houston music and cultural historian Lance Scott Walker (Houston Rap / Houston Rap Tapes) and Now-Again's Eothen Alapatt, in a booklet that contains unpublished photographs."